It’s a great year to be a Jackrabbit! Fall 2018 promises to be one of excitement, learning, energy, and progress as Housing & Residential Life welcomes 4,000 students to campus. Some of that excitement is the result of long hours in preparing for fall opening, but most of the excitement is because students will be back on campus. Friday was move-in day at South Dakota State University where families, staff and volunteers come together to help new students move into their dorm rooms for the first time. Students and families will continue moving in throughout the weekend, and classes begin on Monday. 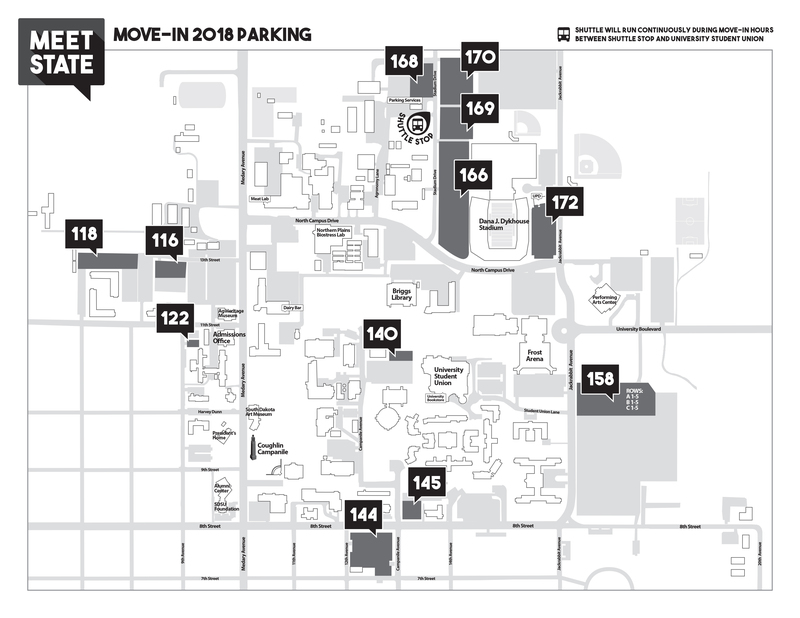 South Dakota State University welcomes Jackrabbits near and far to campus for Move-In Weekend, starting at 8 a.m. Aug. 17. Warm welcomes are important at South Dakota State, which is why the university president may be seen helping students unload a car or pickup. Move-in weekend starts at 8 a.m. Friday.